P-11 is the smallest and lightest ever made. Computers were used exclusively in the design and development of the P-11. 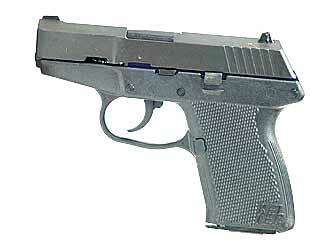 The P-11 is a semi automatic, locked breech pistol chambered for the 9mm Luger cartridge. The firing mechanism is double action only. The magazine has a 10 round capacity.